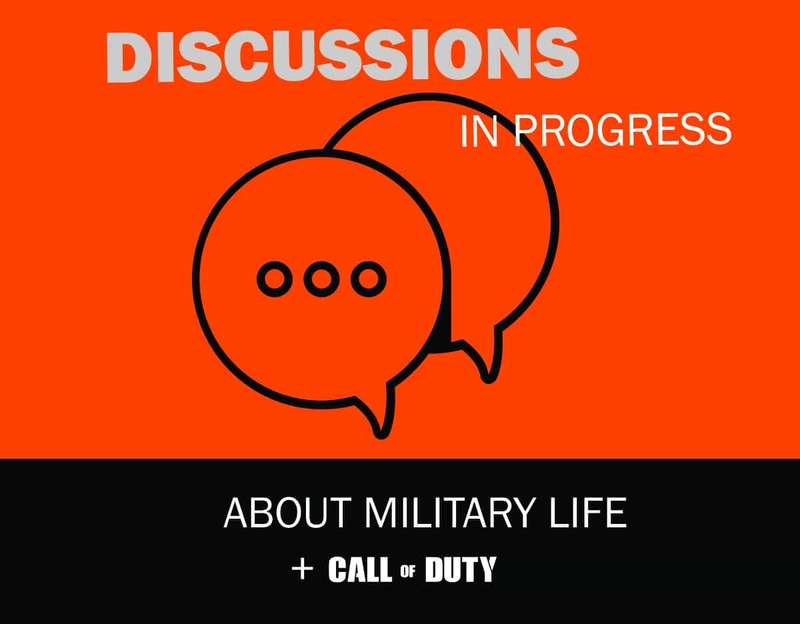 Discussions in Progress: About Military Life is a four-day event series offered by Military & Veteran Student Services in the Center for Diversity & Enrichment and the UI Libraries. The events will be held Monday, November 9 through Thursday, November 12 in the Main Library Learning Commons. teach students how to engage in civil discourse about controversial issues. debunk common stereotypes of military life and wartime experiences. use the popular video game “Call of Duty” as an entry point to discuss specific issues such as violence in media, stereotypes in gaming, the effect of life-like graphics on game content, and video games’ effect on the brain. honor our veterans on Veteran’s Day by encouraging all students to engage in discussions with veterans, get to know them, learn about their experiences and travels, discover how veterans’ perspectives enrich our campus, and create a sense of campus community that includes our UI student veterans. Each day will begin with a Call of Duty tournament from 11:30 am until 2:30 pm in Group Room 1103/1105, with opportunities to engage in conversation with UI student veterans during the tournament. 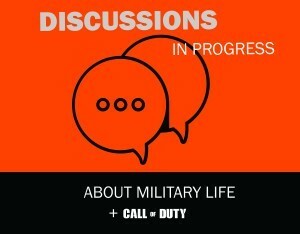 Immediately following at 2:30 will be a discussion on various themes related to video games. Discussions will be in Group Area E.
Tuesday: “Video Games & Art” Matt Butler, UI Libraries Digital Scholarship & Publishing Studio, will talk about video games as art, tracing how advances in technology have enhanced the realistic look and feel of the gaming environment. Has visual realism prompted game developers to make controversial narrative choices? Wednesday: “Video Games & the Brain” Michael Hall, UI faculty in psychology and neuroscience, will talk about research on video games and the brain, including areas of the brain activated by gaming, gaming’s effect on the brain’s pleasure centers, early data on whether gaming can be neuroprotective, and what too much gaming can do to the brain. Thursday: “Stereotypes & Video Games” Hannah Scates Kettler, UI Libraries Digital Scholarship & Publishing Studio, will talk about stereotypes and gaming. Arguably more than any other media, video games challenge/re-inscribe our notions about identity. Who gets to participate in gaming? What roles are gamers encouraged to adopt? Do video games promote more fiction than reality regarding military service? Individuals with disabilities are encouraged to attend all University of Iowa-sponsored events. If you are a person with a disability who requires a reasonable accommodation in order to participate in this program, please contact Brittney Thomas in advance at 319-384-2439.